Perugia, Umbria’s main city dates back to Antiquity and is composed of a higher section on the hill, whence the Medieval villages spread out on its slopes. The historic center teems with cultural and architectural masterpieces, with one of the most extensive museum collections in Italy. Between art and spirituality, a visit to the Medieval town of Assisi is essential; a UNESCO World Heritage Site,its represents “a series of masterpieces of man‘s creative spirit.” Everything revolves around its most renowned citizen, St. Francis, Patron Saint of Italy: from the Basilica, which is dedicated to the Saint and contains his tomb, to the hermitage (Eremo delle Carceri), a few kilometers outside the town walls, where St. Francis used to retreat in prayer. 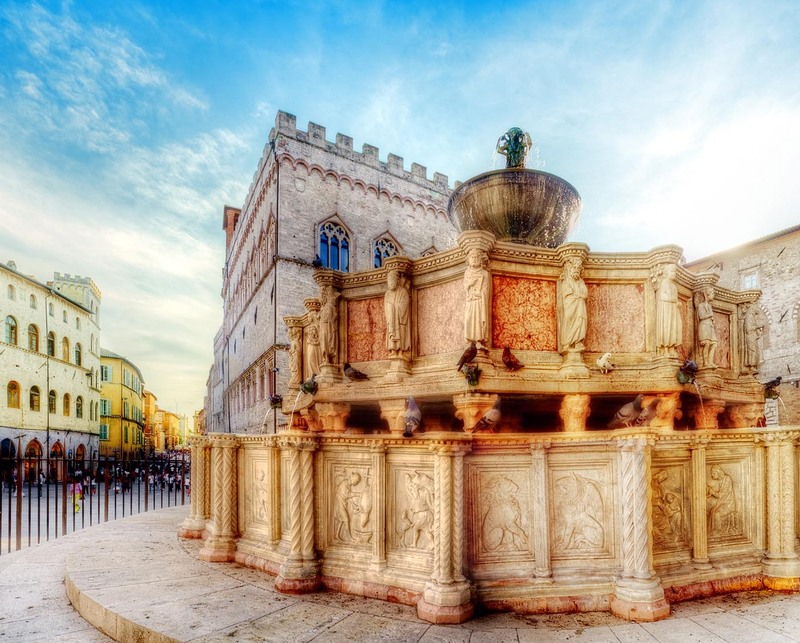 Then Spoleto, a town that boasts a thousand-year-old history, still preserves images from the past in its Medieval and Renaissance architecture. Its stone lanes and its most famous monuments are the setting for international cultural events, such as the Festival of the Two Worlds. Perugia lies on a hill 500 m. above sea level, with the old town spreading all around it, and partly surrounded by Etruscan and Medieval Walls. 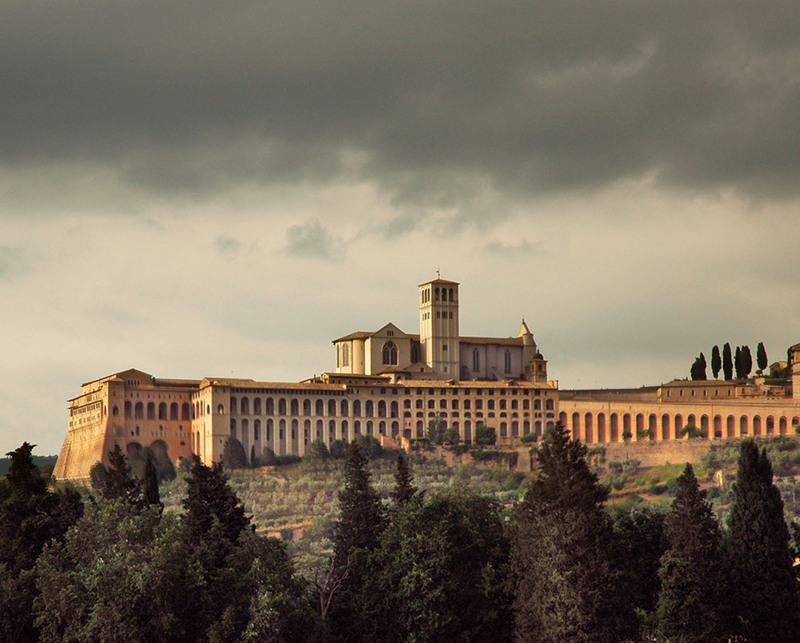 Among the many monuments and churches the city can boast are: the Basilica of Saint Claire with its characteristic façade of bands of pink and white, which houses the crucifix that spoke to Saint Francis; the Upper Basilica of Saint Francis, which contains the frescoes by Cimabue and Giotto. It is a wonderfully charming town, not only for its monuments but also for its intimate connection with nature. 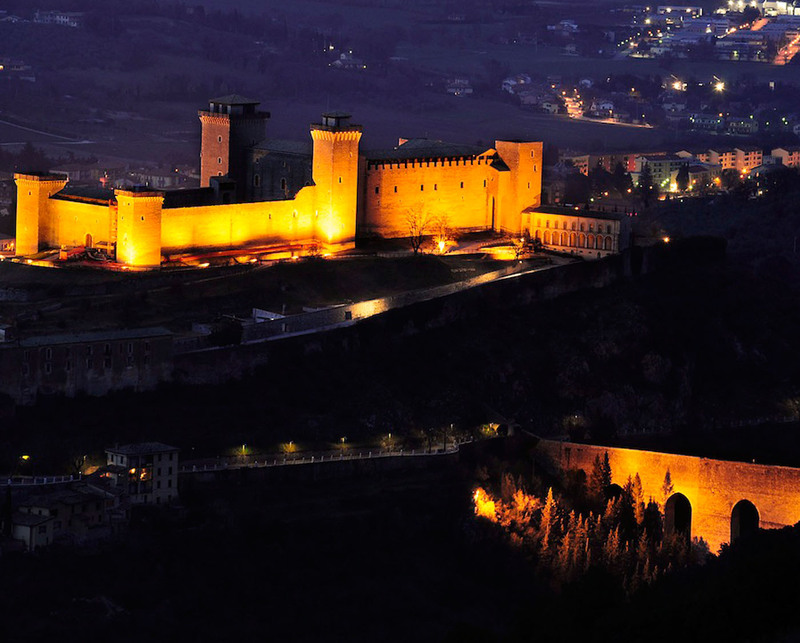 Clinging to the hillsides it is dominated by the 14th century fortress, the Rocca Albornonziana, the most representative monument of the town and now a national museum.